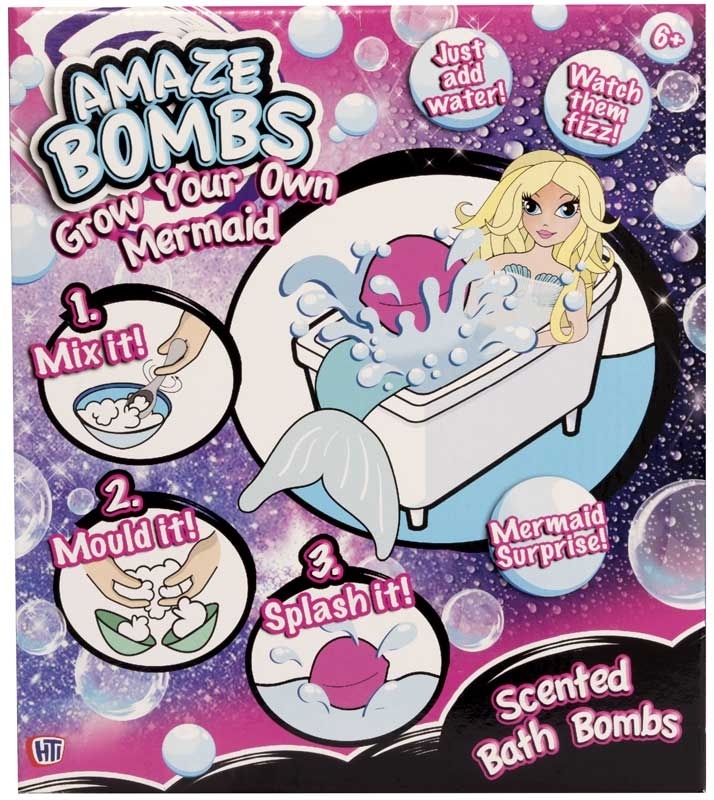 With this incredible set you get to mix and make your own scented bathbomb and grow your very own mermaid. Mix your indredients together and add to the mould along with your mermaid toy, wait for it to set then add to your bath! Your mermaid will grow in size when left in the water! Suitable for ages 3 years and above.